This project, began as my M.Arch. thesis, is presented here in a truncated version of its most current form, but will be coming soon to its own website! Stay tuned. 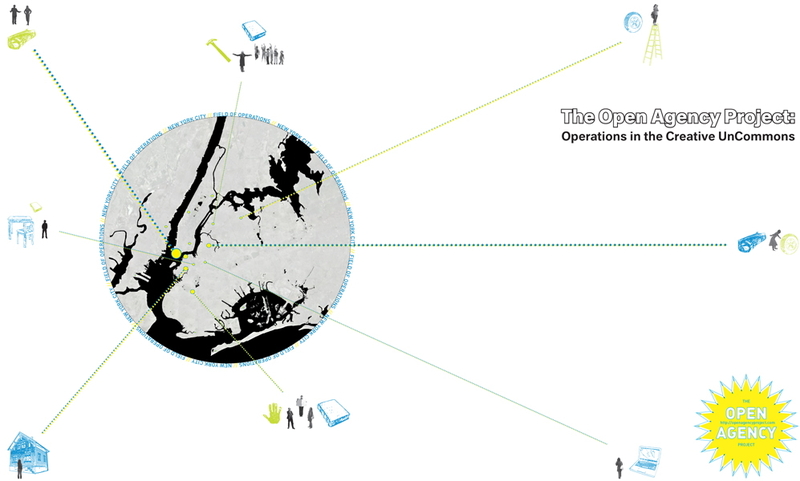 The Open Agency Project proposes an experimental architectural office as an agency for ideas and inventions. By actively seeking unconventional design opportunities, taking advantage of loopholes in restrictive codes, and hacking/tinkering rather than master planning, this office aims to insert architectural ideas into unexpected places and spur the imaginative rethinking of familiar problems. The open-source sharing of research, process and design is embraced and DIY attitudes are encouraged in order to make good design accessible and intelligible to everyone. The Open Agency Project aspires to harness bottom-up action to transform ideas into realities, and ultimately to transform reality.